Hi everyone, I’m kazuma from GREE. I have a strong interest in cross-platform development tools that allow developers to write code once and deploy to multiple platforms. 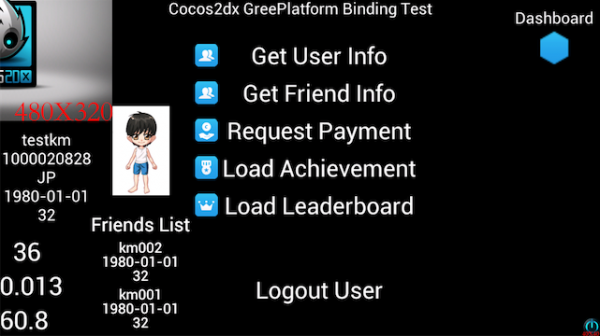 This guide provides step-by-step instructions on how to integrate GREE SNS features (User information, FriendList, Payment, Achievement, Leaderboard and so on) with your cocos2dx applications. This article is a little bit lengthy, but I hope it will be interesting for you, and inspire you to try it out yourself. Please download the SDK for Android. 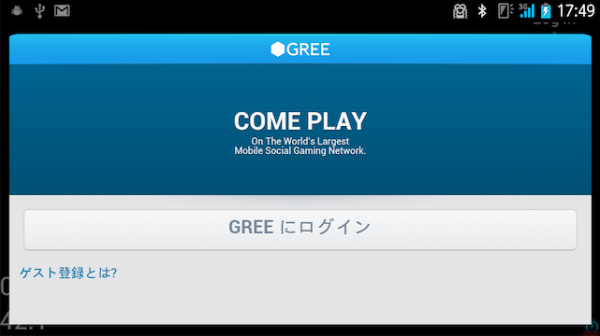 Instructions in this article are written for GREE SDK version v3-3-8. You can also find a Developer’s Guide at the URL above. Please follow the instructions in the guide and import the SDK into Eclipse. To activate your GREE Application, you need a GREE Application Id, Consumer Key, Consumer Secret, and edit your config files so that they are properly set. I will show you how to do that later in this guide. Detailed instructions can also be found in the Developer’s Guide at the URL above. 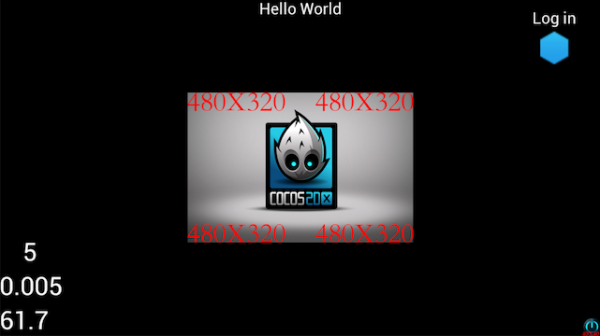 Cocos2dx is written in C++ and needs to be built with AndroidNDK. Please download and extract it to the proper location on your machine. Now that you’ve finished setting up the basic environment for developing a cocos2dx application, its time to start building it. 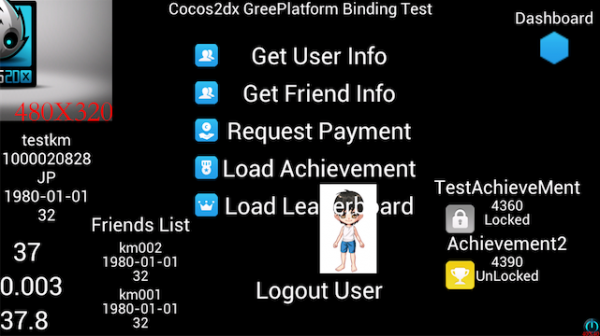 Get GREE Platform SDK for Cocos2d-x. 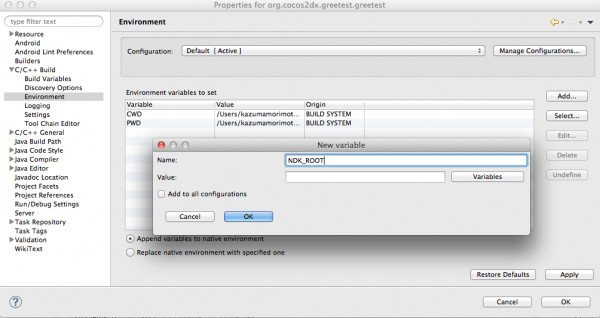 setup.sh downloads cocos2dx source code and adds GREE Platform SDK for Cocos2d-x code to it. 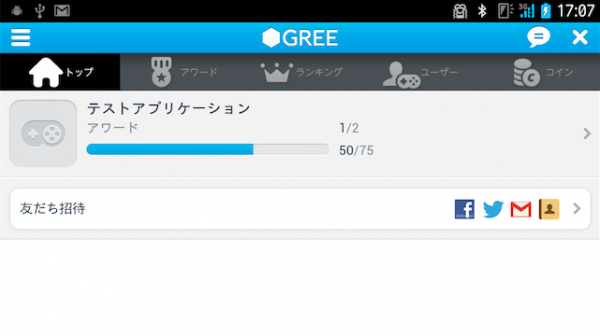 It also provides a sample application which connects to the GREE Platform. 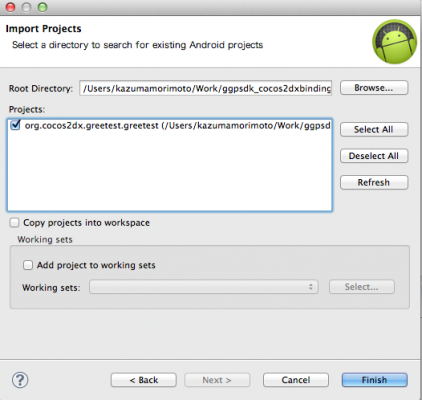 Normally you would create a cocos2dx application project with create-android-project.sh. 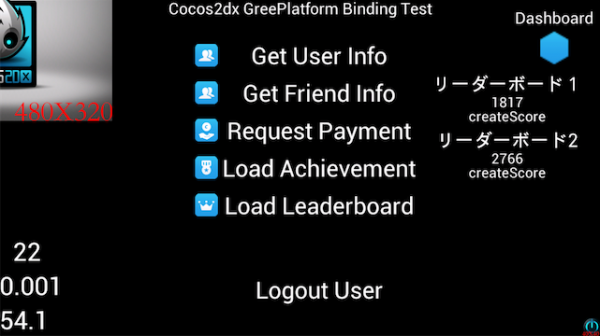 With this binding however, we shall use create-android-gree-project.sh to create a cocos2dx application that connects to the GREE Platform. create-android-gree-project.sh requires both Android NDK and Android SDK, so you need specify their paths for the script to execute properly. 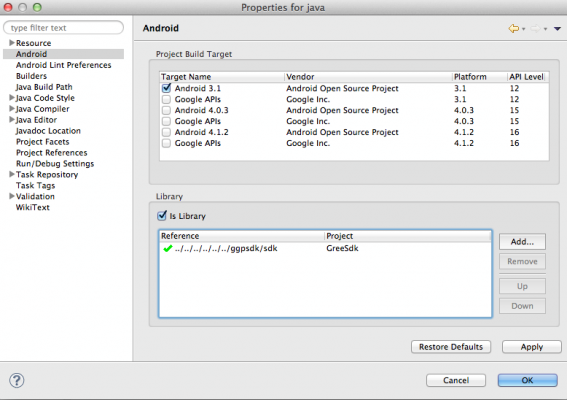 You can directly modify create-android-gree-project.sh, or set their paths as as environmental variables. You will get a couple of prompts. Please provide values for the fields requested. 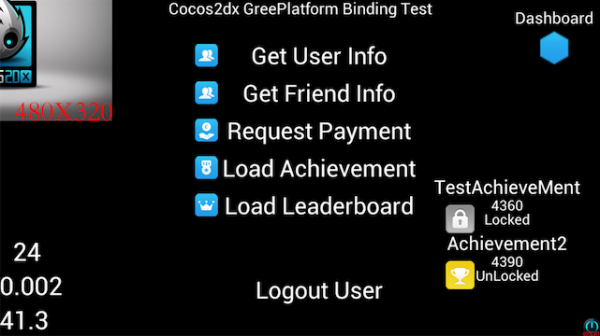 Now you have a cocos2dx sample application that connects to the GREE Platform. 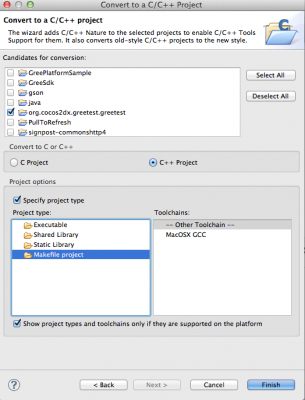 Launch Eclipse, and add the created project and cocos2dx java files. 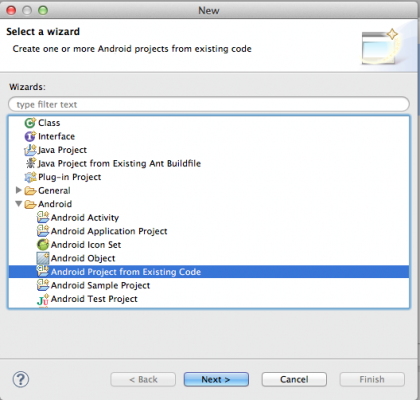 Select Android -> Android Project from Existing Code. Select the “proc.android” directory of the created project. 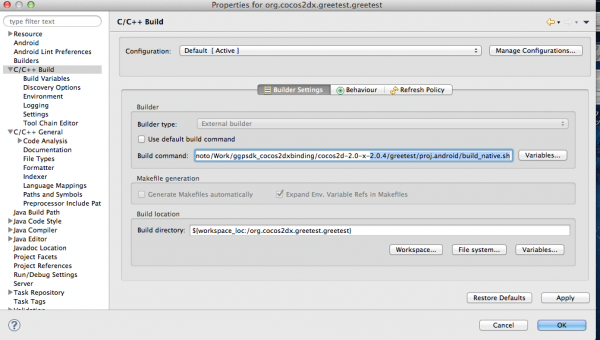 Select the “./cocos2dx/platform/android/java” directory under cocos2dx source code. 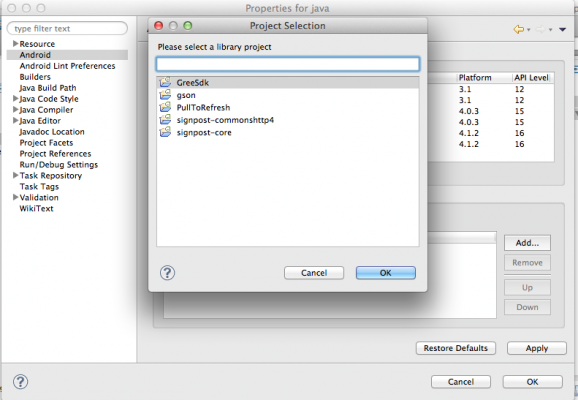 From the project explorer window, choose “java” project and select Properties. Set GreeSDK as reference library. Now you should have no errors with java. Next, you have to configure the build environment for native code. 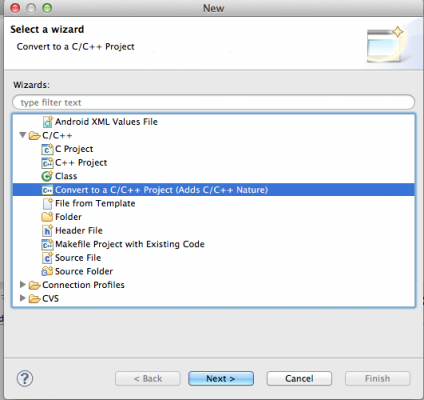 To build native code on Eclipse, you have to install CDT for Eclipse. 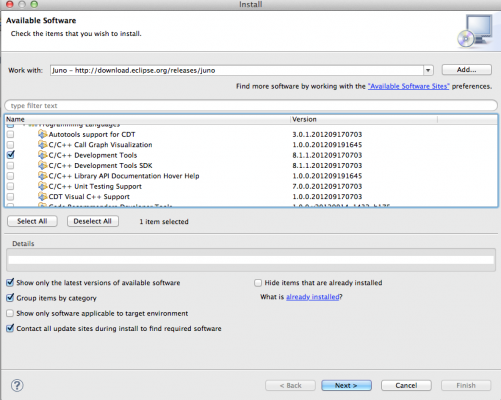 Select Help -> Install New Software…. from the main menu, and select http://download.eclipse.org/releases/xxxxx, check “C/C++ Development Tools”, and install it. 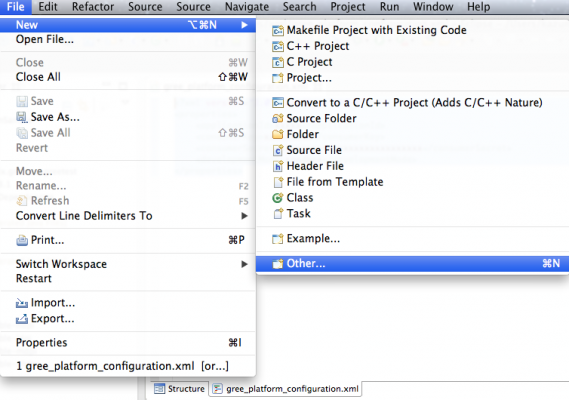 Check the project you created, and select the Makefile project from the Project type window. From the Project Explorer window, select your project -> Properties. Select C/C++Build -> Environment and add NDK_ROOT environment variable. The steps above need to be done only once for each project. Now, you can build your native code with the button below. Set your Application Id, Consumer Key, and Consumer Secret in res/xml/gree_platform_configuration.xml. Also replace “xxxxx” in AndroidManifest.xml with your Application Id. 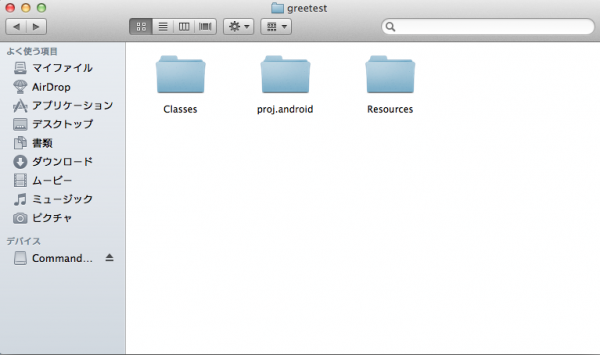 These steps are the same as the steps performed when creating an android application for the GREE platform. You can log in to GREE Platform by clicking on the icon in the top right corner. 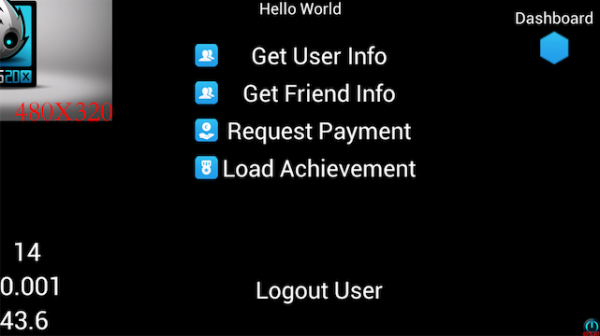 The default sample app, “GreeBasicSample”, includes Authorizer, Dashboard, User, Friends, Payment, Achievement, Leaderboard APIs. Next, call the setDelegatexxxx method, and implement callback method to be called. If you’d like to catch authorizeAuthorized, authorizeError, and authorizeCancel callbacks of the Authorizer APIs — authorizeAuthorized, authorizeCancel, authorizeError –. please override them in HelloWorld.h. You can do anything with it as you could with a sprite; draw, move, scale and so on. Note: Callbacks don’t run on the UI thread, so you cannot perform draws in callbacks. You can also get Authorizer related information. With User and Friend APIs, you can get user information (e.g. name, age, gender and so on) of users, as well their friends’ information. user->loadThumbnail(THUMBNAIL_SIZE_HUGE); // you can specify the size of the thumbnail to be downloaded. //Refer to the information regarding thumbnail callbacks to handle the response. user->loadFriends(1, 10); //first argument specifies the startIndex, second argument specifies the number of friends to load. // Friends information retrieved will be stored in a CCArray which can be easily iterated over. You can create Payment items and submit Payment requests. To submit a Payment request, you have to create Payment Items first, and specify them in the request. Implement callback methods as required. Get the achievement list by implementing the success callback. As with the friends list, achievement items retrieved are stored in a CCArray. You can create and display dialogs with this library. Below is an example that shows how to display an InviteDialog. Pass parameters as CCDictionary, as how you would do normally with cocos2dx.